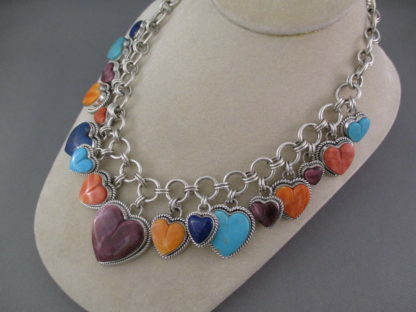 Home / Sold Items / HEART Necklace by Desiree Yellowhorse – Colorful! 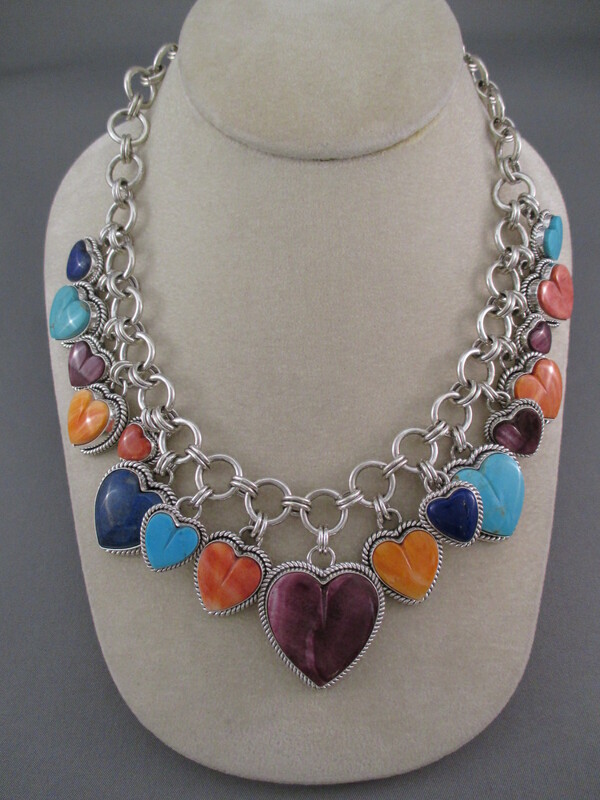 LOVELY Heart Necklace! 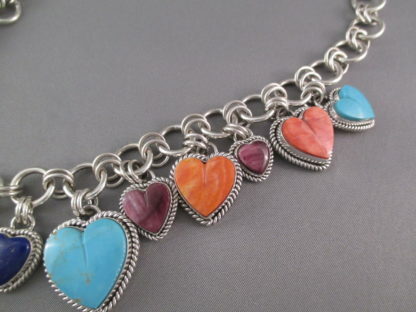 Beautiful necklace with 17 dangling ‘hearts’ made of Kingman Turquoise, Lapis, and Spiny Oyster Shell (orange, purple, and red). Made by Navajo jewelry artist, Desiree Yellowhorse (daughter of Artie Yellowhorse). Adjustable sterling silver clasp allows for 15 1/2″ to 19″ lengths.